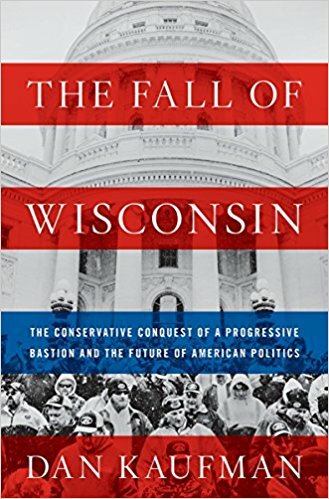 It wasn’t the first time right-wing populism made inroads with Wisconsin’s white working class. 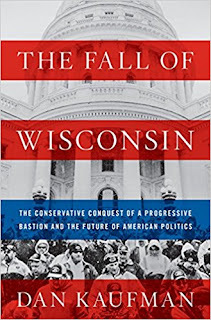 In 1964, on a speaking trip to Madison, George Wallace, the segregationist Alabama governor, learned he needed only sixty Wisconsin residents to act as delegates to get on the state’s ballot in a run for president. He quickly found them, filed his candidacy, and started his presidential campaign, focusing on Wisconsin and a few other states. Though he ran as a Democrat, Wallace’s hastily conceived presidential bid was meant to rebuke Lyndon Johnson for his support of civil rights legislation, and to push conservative economic policies—especially cutting the federal government, taxes, and business regulations. By the end of March, Wallace’s stops in Wisconsin had become more frequent, drawing enormous crowds—supporters and protesters alike. Bomb scares were common, and Wallace always traveled with armed guards. In April 1964, Wallace’s Wisconsin campaign crested with an appearance at American Serb Memorial Hall, a community center on Milwaukee’s heavily Polish South Side. Milwaukee had been in the throes of a growing racial backlash for eight years, since a race-baiting whisper campaign suggested that Frank Zeidler, the city’s last Socialist mayor and an unapologetic advocate for civil rights, had paid for billboards across the South encouraging African Americans to move to Milwaukee. The smears led to death threats against Zeidler and his family and contributed to his decision not to seek reelection in 1960. Milwaukee’s next mayor, a machine politician named Henry Maier, stayed silent about Wallace’s visit. Despite Wallace’s fears about his reception in this urban ethnic enclave, hundreds of people waited outside the hall that night after the room had been filled to capacity.